The wide tuning range makes this head versatile and suitable for a varied range of musical styles. 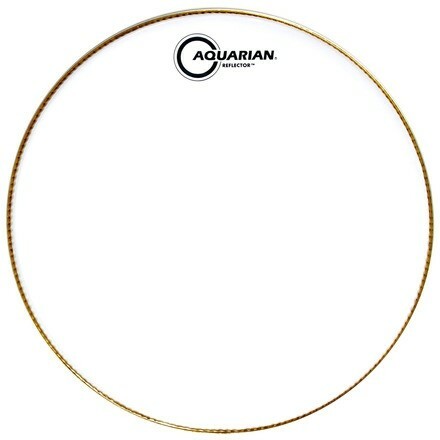 The Aquarian Safe-T Lock Hoop makes for a quick and easy tune-up every time. Every note remains clear and identifiable when metrical precision is a must. Available in 6"- 26" sizes. 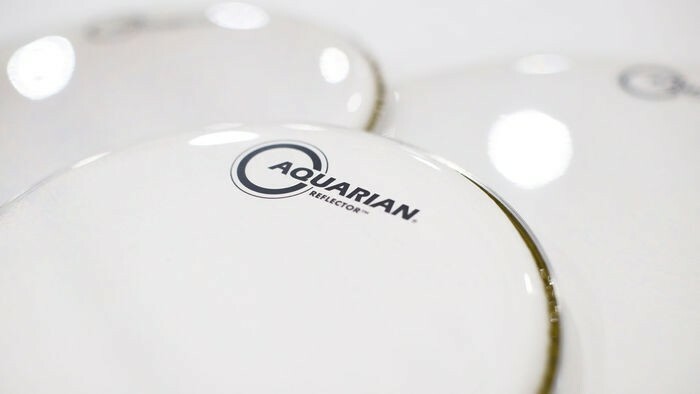 Inspired by drumming great Eric Moore, the Aquarian® Ice White Reflector™ drumhead delivers studio quality sound when played live; no additional muffling or resonant control needed. This new white reflective, two-ply playing surface is durable, focused and musical. 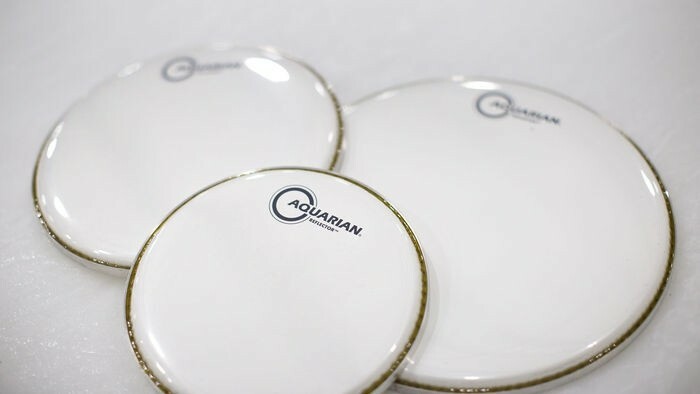 The bottom ply of the ICE WHITE Reflector uses Aquarian's heavy-duty smooth white 10mil drumhead film which is stiffer and brighter than our standard drumhead material. The top layer uses Aquarian’s Classic Nu-Brite 7 mil film for warmth. The result is a two-ply hybrid head that is warm, resonant and musical at lower volumes; bright and articulate when played hard; clean and focused when played fast!